Jennifer Cool has been licensed since March 1997. She joined RE/MAX Alliance in September of the same year. As a Licensed Assistant for Charlee Gowin, she learned the in's and out's of real estate professionalism and integrity. Together they formed a real estate team, Charlee Gowin & Associates, and were ranked in the Top 25 of Virginia RE/MAX Team Producers 2001. In 2002 she branched out and established her own team. 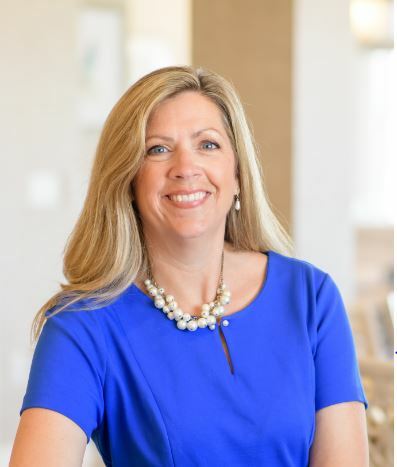 In November 2006 Jennifer joined Prudential Decker Realty, now Berkshire Hathaway HomeServices Towne Realty where strength in marketing and local company integrity are second to none. As an ongoing commitment to her clients, Jennifer has continued her education in Real Estate and obtained two advanced designations. She holds the GRI designation (Graduate Realtor Institute) as well as the ABR (Accredited Buyer Representative) designation. The later is held by only 3% of realtors nationwide. She has held the titles of Hampton Roads REALTOR Association Grievance Chair and Vice-Chair of the REALTOR/Lawyer Committee. 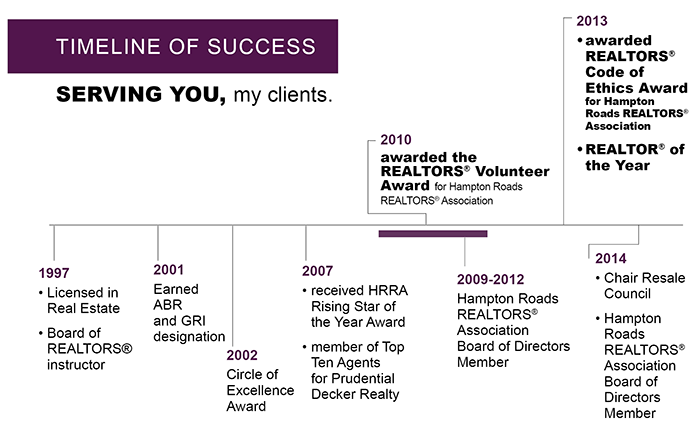 She has been a Circle of Excellence Award Recipient since 2002 and was awarded the 2007 Rising Star of the Year and 2010 REALTOR Volunteer of the Year by the Hampton Roads Realtor Association.